Rediff.com » Movies » When SRK checked out SRK! When SRK checked out SRK! 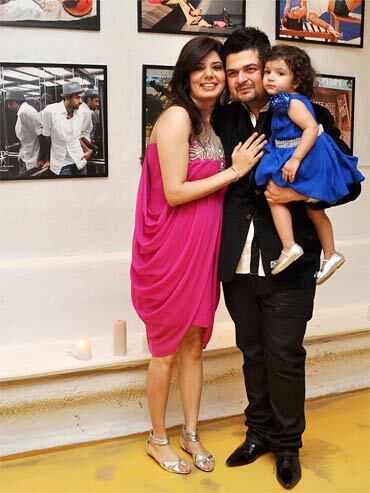 Trust Dabboo Ratnani to bring in the New Year in style. The photographer launched his 2011 calendar featuring Bollywood's glamorous stars, on Sunday in Mumbai. This is his 12th year of capturing tinsel town for his trademark calendar. Seen here is Shah Rukh Khan, who poses in front of his picture for Dabboo's calendar. The 2011 calendar includes 24 photographs of actors like Amitabh Bachchan, Shah Rukh Khan, Hrithik Roshan, Salman Khan, Saif Ali Khan, Ranbir Kapoor, Ajay Devgn, Akshay Kumar, Abhishek Bachchan, Abhay Deol, Farhan Akhtar, Arjun Rampal, Katrina Kaif, Kareena Kapoor, Kajol, Priyanka Chopra, Deepika Padukone, Aishwarya Rai Bachchan, Bipasha Basu, Mallika Sherawat, Vidya Balan, Asin, Genelia D'Souza and Sonakshi Sinha. 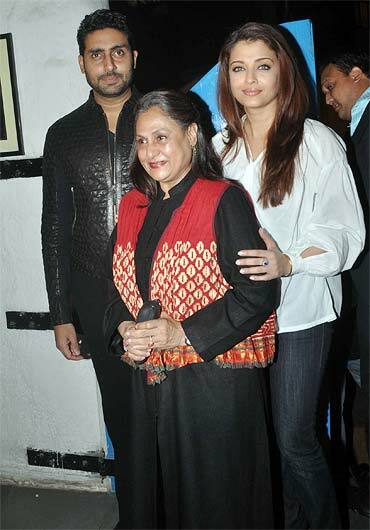 Abhishek and Aishwarya Rai Bachchan came to check out their photographs with Jaya Bachchan. Hrithik Roshan and Madhur Bhandarkar share a light moment as they arrive for the launch. Like every year, Dabboo makes it a point to include a new face. This time it's Sonakshi Sinha's turn. 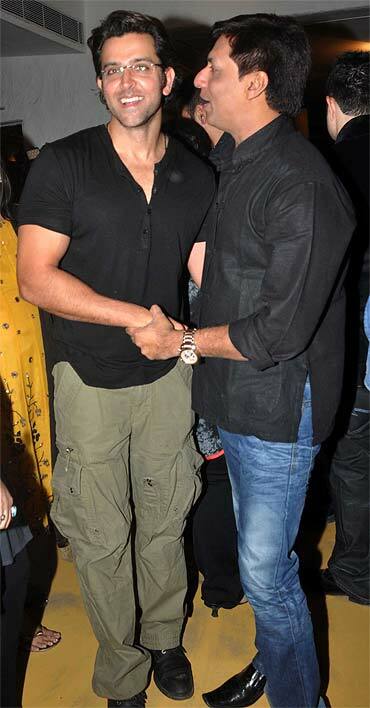 Another star who came to have a dekkho of his picture was Farhan Akhtar. He was accompanied by wife Adhuna. Will we see Rock On's Shahana Goswami and Jannat's Sonal Chauhan in Dabboo's calendar next year? The two ladies sure look ready. There was no dearth of hotties at the event as we spied Genelia D'Souza and Sophie Choudry among the crowd. Celebrity couple Maria Goretti and Arshad Warsi make a cute picture as they smile for shutterbugs. Finally, a picture of the man behind the amazing photographs. Seen here is Dabboo with his wife Manisha and daughter Myrah. What do you think about SRK's Ra.One look?